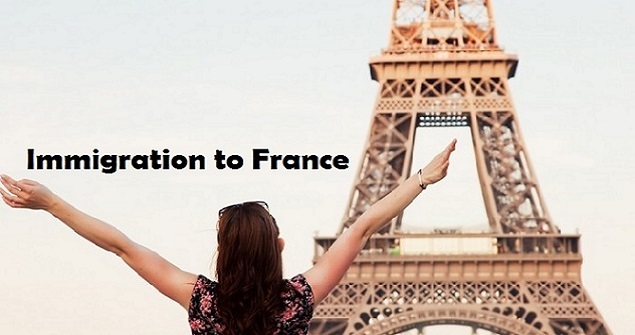 How to Get Immigration Visa for France. When looking to relocate overseas, France is a very attractive option. With an excellent quality of life and plenty of employment opportunities, it is a popular destination for immigrants from all over the world. There are several types of visa available for those who wish to enter France, and the kind that you require will depend on the duration of your intended stay and the reasons for it. Once you have obtained your visa and entered French territory, you are unable to change your status or modify your visa in any way. If you need to know how to get immigration visa for France, you can find all the information that you need here. The regulations that apply to obtaining a French visa vary depending on the type of passport that you hold, whether it is a regular one, an official duty passport or a diplomatic passport. In any case, your passport must have a long enough validity period to cover the entire duration of your stay. You will need to pay a fee for the processing of your visa, which are non-refundable in the event that you application is rejected. There may also be added costs for making appointments in connection with your application with third party agencies. There are both short stay and long stay visas available to those who wish to come to France; however a short stay visa (also known as a Schengen visa) will only allow you to enter the country for a period of less than 90 days within a 6 month period. This type of visa is best suited to those who are visiting France on holiday or for short stay for business reasons or to visit family; however it can also be used for those who are coming to France to attend a short educational course. If you wish to stay in France for a longer period of time, you will require a long stay visa. These are suitable for those who intend to stay in France for a period of longer than 3 months and are suited to those who are moving to France to work or to join family members in the country. When a long stay visa is issued to you, it is important that you register with the OFII (French Immigration and Integration Office) immediately upon arriving in the country, and you may need to also apply to your prefecture to obtain a residence permit. There are several categories of long stay visa, and some are valid as a residence permit throughout the first year of your stay. These include some work visas, spouse visas and study visas. After one year, you will be required to renew your residency permit. If you are relocating to France to work, you will need your employer to have your contract approved by the DIRECCTE in advance before your visa application is submitted. The documentation that you will need to supply with your visa application depends on the type of visa that you are applying for. All applicants will need to download and submit the necessary application form together with 2 passport photographs and copies of any visas that have previously been issued to you. You will also need a copy of your passport, which must have a minimum of 3 months validity after your return date and a minimum of 2 blank pages remaining. You may also need to send a copy of your return ticket reservation as well as a travel insurance confirmation worth at least 30,000 Euros of cover. You will need to submit a letter which states the purpose of your visit to the country and details of your flight tickets as well as proof of your accommodation during your stay in the country and any evidence of your civil status. You will also need to demonstrate that you can support yourself financially while you are in the country. For a work visa, you will also need a contract from your employer and an Income Tax return form. It is your French employer's responsibility to contact DIRECCTE's foreign labor department on your behalf and once their application for you has been approved it will be sent to the French consulate in your home country. Students requiring a study visa will need to submit evidence of their place at a French institution and a no-objection certificate from their university. They will also need to show how they intend to fund their stay in the country and pay for their course. Those coming on a spouse or family visa will need to show evidence of their partner's French national status as well as a family record book and marriage certificate. You may not stay in France if your visa has expired and therefore, you must apply for a visa extension before your current visa runs out. You can do this my supplying the necessary evidence to your prefecture authorities. If you are immigrating to France and wish your family to join you, you will need to be resident in from for 18 months before being able to apply under the Family Reunion Procedure. The application must be made in person to the OFII office and the authorities will then carry out the necessary processing which can take several months. Your family members must submit their own visa application in order for processing to take place.